Erin & Jamie’s wedding was exactly what you would think of if you were dreaming of the perfect small and intimate wedding. 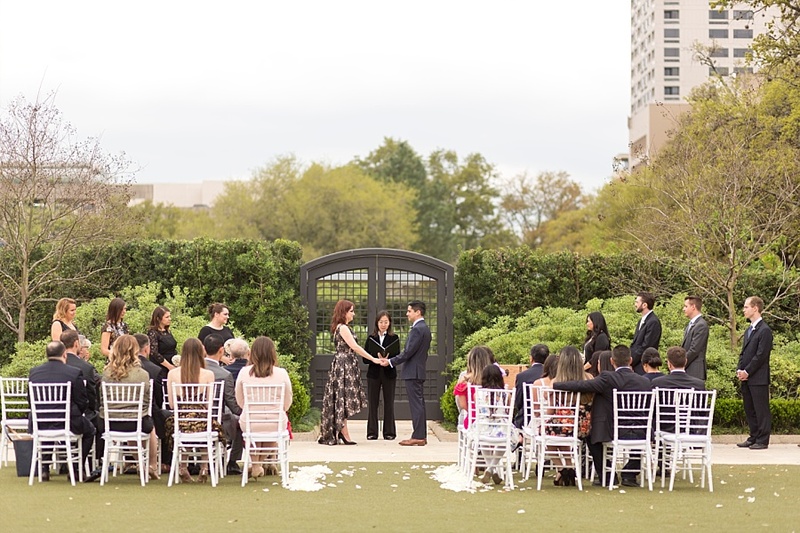 With 30 of their closest family and friends, Erin and Jaime tied the knot at the beautiful McGovern Centennial Gardens in downtown Houston, TX. 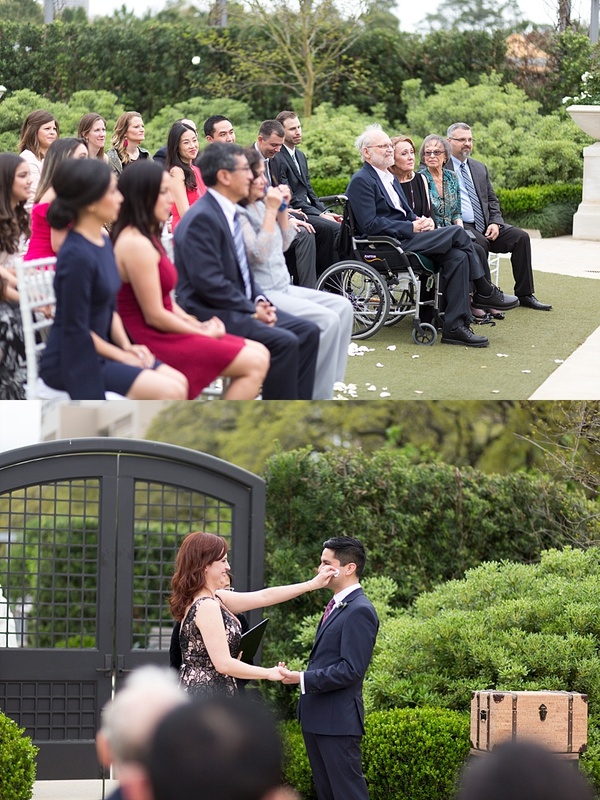 Their ceremony was short and sweet, but had no shortage of love. Erin’s sister handmade all of the paper flowers used in the bouquets and boutonnieres. Instead of a traditional candle lighting ceremony, they wrote letters to one another for future anniversaries and included a bottle of wine in a hope chest for them to enjoy at a later time. The couple didn’t plan on having any dancing at their reception (it was a seated dinner), but after they walked back down the aisle, they spontaneously broke into their first dance at the end of the aisle! It was such a perfect moment! 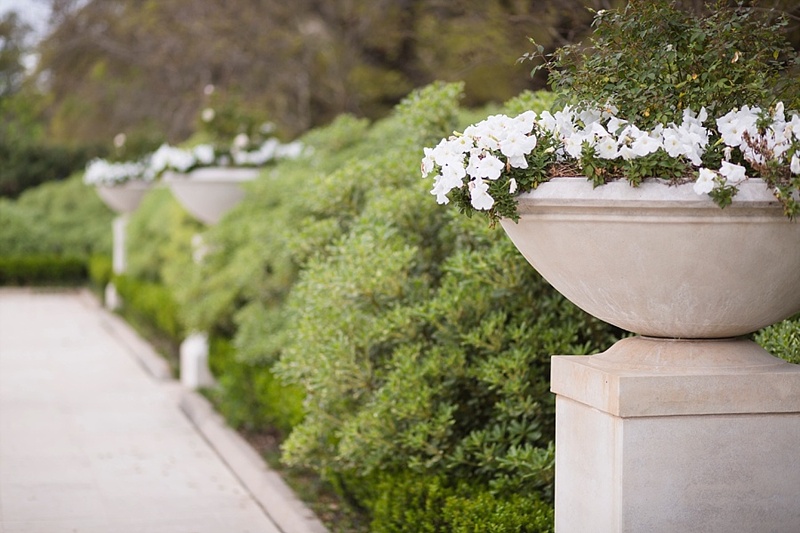 Here’s a little glimpse into their perfectly elegant wedding day. 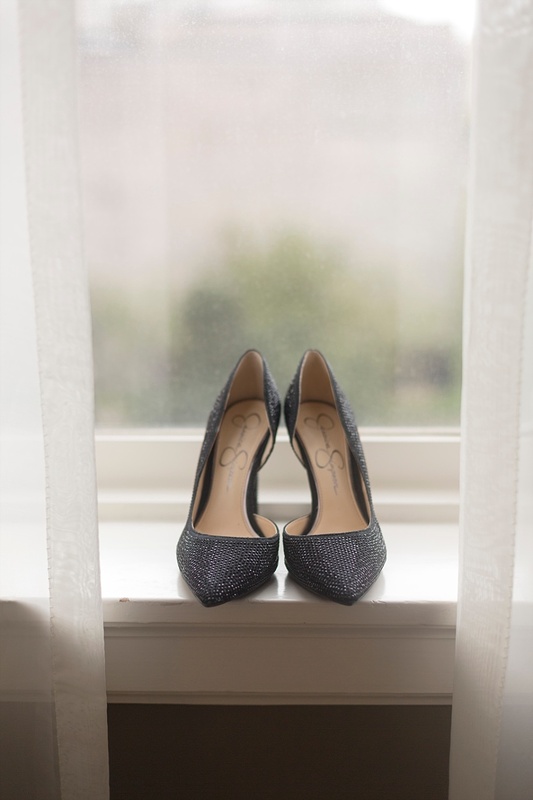 If you’d like Stacy Anderson Photography to photograph your wedding, contact us today for a free consultation!